YnTatooyre was angry. She floated around her office, polyps flashing in shades of red and orange. She had to do something. Xyltharn was getting too much respect, and funding. After her disastrous silicon presentation, she had lost several investors. She floated over to her programming dome and linked in. After bringing up the programming interface she started grabbing strands of code from her personal library, bending them into shape and linking them with communication fibres. She spun the created program around in the view volume, making sure none of the fibres were broken or incorrectly linked. Satisfied with the design, she fed it into the incubator and waited for the final program to grow. When it was ready, she ran the code and her view was replaced by a map of the universities computer systems. Programming domes floated around the view linked to the various other systems by glowing cords. The cords glowed in proportion to the data traffic. Some were barely visible, links that existed but were not active. Others glowed so bright they were difficult to look at. With a thought she brought up additional information. Each programming dome showed a unique ID. She quickly identified Xyltharn's dome and moved her viewpoint over to it. She orbited the dome several times looking for any defences, she saw the normal anti-virus protection. The antibodies floating in the skin of the dome were of a completely standard form. YnTatooyre shimmered green in pleasure, he really was an arrogant prick. That just made her plan easier. She thought a knife into her polyp and made a tiny incision in the programming dome. Floating back to a safe distance, she watched for any response from the domes defences. Nothing happened. Good. She thought up the next tool. It appeared as a wriggling little worm, but in reality it was a very complex trojan horse. It had taken her years to develop. She carefully inserted it into the hole in the dome, then used yet another tool to close up the hole. Her first task was complete. She floated away from the dome and connected to the trojan. She now was seeing exactly what Xyltharn was seeing. He was working on another carbon based life form experiment. Her whole skin flashed red as she realised the experiment was working. He had a universe supporting a huge diversity of life. He was concentrating on one planet. This planet supported a strange bipedal creature which had developed to a reasonable technological level. She could tell he believed that they had the capacity to ascend. She couldn't help herself, she disconnected from the trojan and swam around furiously. Her whole body was bright red, her beak was snapping at anything that came near her. He was on the verge of destroying her life's work. With an effort she regained control and disconnected from the dome. This couldn't be allowed. He could not be allowed to win. She floated over to her food tank and grabbed a couple of food fishes. Snapping them in half with her beak and swallowing the still twitching remains whole. She wasn't hungry, she just felt the need to kill something. Which gave her an idea. He likes this race so much, lets see how survivable it is. She floated over to the programming dome one more time. In the programming interface she started grabbing code strands and bending them into shape. She first built a delivery mechanism, a block of code that would worm it's way into Xyltharn's simulation and insert the pay load into the core simulation parameters. Laughing now she grabbed more strands to create the payload. It was designed to change key parts of the universe, changing key laws of physics to slowly make it impossible for carbon based life to survive. She attached the pay load to the delivery mechanism and spun around it a few times. Pleased with her work, she grabbed a few code modules from her library. One was designed to remove all traces of the virus after it had done it's work, another to protect the code from detection while it was running. Satisfied with her work, she fed it into the incubator and waited for her new program to be born. Once it was ready she restarted her network viewer and floated over to Xyltharn's dome. 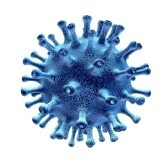 Once again she opened a small hole in the dome, inserted the virus, closed up the hole, and disconnected. Now she was green. She floated around her office chuckling to herself. She couldn't wait to see the results of her work. All she had to do now was find some excuse to be with Xyltharn when he discovered his universe had mysteriously died off. How could she arrange that?